Cloud cover will likely pose challenges for many of our telescope sites during tonight’s event on Sunday morning, December 11 around 08:55 UT. Teams south of Reno and along the Colorado River and around have the best shot at recording this event. To see sky predictions for individual RECON sites, you can visit our Sky Conditions Page. 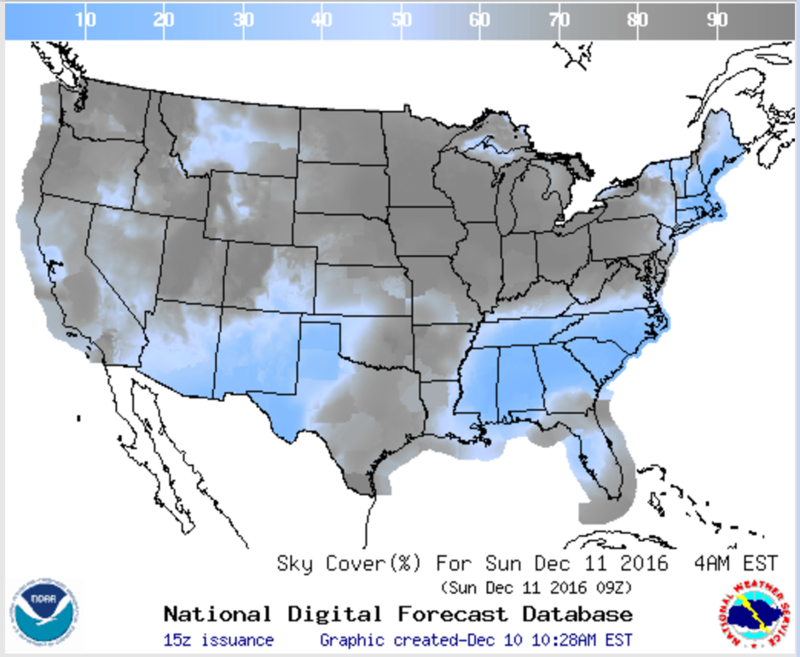 National Weather Service cloud cover forecast for Saturday night/Sunday morning. Despite weather conditions, our telescope teams will keep an eye on their local skies and do their best tonight. Following the campaign event, we ask all teams to complete a RECON Campaign Observation Report Form. This link will be active for one week following the event.